In most respects, the process of buying property in Japan is very similar to buying real estate in any other country. However, the actual process can be opaque and time-consuming, especially if you do not speak or read the language. In this guide, we have divided the buying process into eight simple steps. In the coming weeks we will publish detailed articles on each step. If you are thinking about buying a home or investment property as a foreigner in Japan, the first question you may have is whether foreigners can actually buy real estate here. There are no legal restrictions on buying property in Japan for foreigners. Foreigners are only responsible for providing a written notification to the Bank of Japan within 20 days of purchase of real property. There is no need to have citizenship or even a residence visa to buy a house in Japan. However, buying property in Japan does not entitle the purchaser to receive a Japan residence visa. If you do not have a permanent residence visa, are not married to a Japanese citizen, and/or are not at least resident in Japan with an established work history, it can be exceedingly difficult to find financing to purchase a Japanese property. Unlike many other Asian countries and some parts of Hawaii, there is no restriction on ownership rights to land (for example, requiring a 99-year ground lease in lieu of full ownership rights to land). The first step for anyone wanting to buy a residence is to start by researching the various options, setting your priorities, and determining a budget. 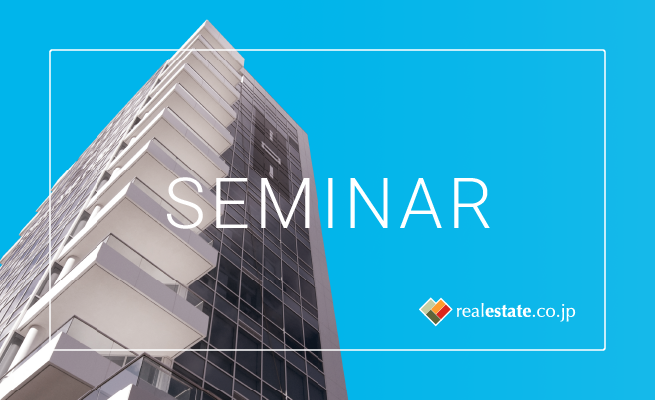 You will need to consider whether you want to buy a new or pre-owned residence, a condo or detached house, or if your budget and time allows, even buy a parcel of land and have a house built for you. We will cover the pros and cons of these options in a follow-up article. Taxes will add about 6% to 7% to the purchase price. 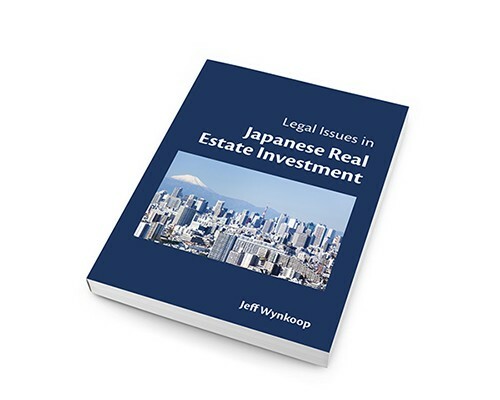 For more information on tax issues, please see this guide on Japanese real estate taxes, including annual fixed-asset (property) taxes to plan for. Some Japanese banks do lend to resident foreigners in Japan. You are most likely to be viewed favorably by a lender if you have permanent residence status or are married to a Japanese citizen. Some banks also lend to foreigners with long-term work experience in Japan or if your spouse has a permanent residence visa. Please see this article for the documentation you will need and which banks lend to foreigners. If you are a non-resident, it will be very difficult to find a lender in Japan, but some may deal with you on a case-by-case basis. Start by collecting information on potential financing sources. Private banks and local credit unions provide a majority of the housing loans in Japan. Please see these guides for more information: Getting a Home Loan as Foreigner in Japan and Guide to Home Mortgage Loans in Japan. Decide whether you want a fixed or variable interest rate loan, i.e., how important it is for you to have monthly payments fixed over the entire repayment term. Currently fixed interest loans are very popular in Japan because interest rates are at historic lows. Please this article for more information on What interest rate can I get for a home mortgage loan in Japan? Once you have decided on the basic parameters of the property you want, it is time to really shop around. One good way to do this is to find comparable properties in your desired neighborhood, and find out about the recent prices paid for these properties. The Ministry of Land, Infrastructure, Transport, and Tourism has a website to help you find comparable prices for property transactions. A local real estate agent can also be an invaluable resource, or you can start online by looking at price trend data and comparing property listings on Real Estate Japan. It is important to attend many open houses and see as many places as you can. In real estate, there is nothing like seeing first-hand a lot of different properties, different layouts, etc. to get a real feel for which distinguishing factors are most significant to you. Viewing many places will help you learn to be able to compare properties more effectively. If you are buying a new condo or house, you will need to fill out an application to purchase (購入申込書 or kounyuu moshikomisho) put together by the developer or real estate company. For new properties, there is oftentimes a lottery carried out depending on the number of applications received, so please keep in mind your offer to purchase may not be accepted even after applying. There will also be an application fee that is usually between ¥20,000 and ¥100,000 that will be returned if your application is not accepted. In the event your application is accepted, this money will be allocated to the earnest money that you will pay at the time of executing the purchase agreement. If you are buying a pre-owned residence, you may want to submit a letter of intent (買付証明書 or kaitsuke shoumeisho in Japanese) to the seller. The reason to use a letter of intent is to inform the seller that you are seriously considering purchasing the property. There are a lot of possible contents in a letter of intent, but its real purpose is to serve as the beginning point for your negotiations. We will cover the key contents in a typical letter of intent in a follow-up article. Earnest money (手付金 tetsukekin) is a deposit that the buyer pays to the seller to demonstrate the seriousness of the buyer’s intention. It is usually 5-10% of the total purchase price, and generally it will be counted as part of the total purchase price when the deal is completed. At the same time you are submitting your letter of intent or application to purchase, you will need to begin the loan pre-approval (or pre-screening) process by talking with your lender. At this point, you will be asked to submit copies of (1) identification documents such as your passport and local driver’s license, (2) a recent health certificate, and (3) your annual tax receipts (源泉徴収票or gensen choushuuhyou). The Explanation of Important Matters (重要事項説明書 juuyoujikou setsumeisho in Japanese, below the “Explanation”) is a legal disclosure document prepared by the seller’s agent that is supposed to contain all of the material information any buyer would want to know to be able to make an informed purchase decision. Under Japanese law, it is a written document that must be delivered to the buyer (and also explained verbally) prior to the buyer’s execution of the purchase agreement. The Explanation can be anywhere from 20 to 100 pages long, and thus usually entails a significant amount of work for the seller’s agent to put together. The reason for the Explanation is to reduce the number of disputes that break out between buyers and sellers by making sure buyers have sufficient information before executing a legally-binding purchase agreement. We will cover the contents of a typical Explanation of Important Matters document in a follow-up article. Once you are satisfied with the content of the Explanation of Important Matters, it is time to sign the Purchase Agreement. You should make sure the purchase agreement contains all of the matters you have agreed with the seller. In addition, if your purchase will take place during the middle of the year, you need to make sure that the seller promises to pay the portion of the Fixed Asset Tax and City Planning Tax that corresponds to the number of days the seller owns the property that year. In the alternative, you can discount the purchase price by this same amount. In order to sign the Japanese agreement with legal effect, you will need to get a stamp or seal made with your name in Japanese characters, along with evidence that you have registered the stamp legally in your name with your local ward office. Example of a seal used to stamp official documents. You will also need to pay the earnest money (or the balance of the earnest money if there was an amount paid at the time of the letter of intent), which serves as legal consideration or the quid pro quo that the buyer is intending to enter into a binding contract with the seller. At the time a purchase agreement is executed, you will also need to formally apply for a loan if you have already passed the loan pre-screening process and you need financing to pay the full purchase price. The formal loan application process can be relatively arduous and take up a significant amount of time. On average, it takes about two months to complete a loan application. When the bank finishes its underwriting of your application and approves your loan, you will have to sign the actual Japanese language loan documents. In Japan the loan agreement and mortgage on the loan (the right for the bank to have a security interest in the property as collateral for your loan) are usually part of the same contract package (金銭消費貸借契約兼抵当権設定契約 kinsenshohitaishaku keiyaku ken teitoukensettei keiyaku). Interest on the loan will normally not start accruing on this date, but rather at the time you actually receive the loan proceeds (known as the drawdown date). This is also the time for the final physical check of the property to make sure everything is as planned. Once the balance of the purchase price is paid to the seller, it will be very hard to unwind the transaction. This is the final occasion you can receive comfort that you are buying what you intended before completing the deal. There is usually a formal meeting with the seller and a representative of the lender to finish the purchase of your new residence. You will also want to have a legal scrivener (司法書士, shihoushoushi) present that has been authorized by the seller to act on his or her behalf to change legal registration. The legal scrivener is the person who is responsible for completing legal transfer of the registration of ownership from the seller to the buyer on behalf of the seller, and making sure on behalf of the buyer that there are no last minute unexpected mortgages or other third-party encumbrances on the property. Finally, you are ready to move in and start enjoying your new property. Don’t forget to file taxes in Japan (確定申告kakutei shinkoku) the year after moving into your home, so you can receive the benefit of the mortgage loan deduction on your personal taxes. In a follow up article, we will discuss home mortgage loan deductions in Japan. We will be publishing follow up articles with details on each of the steps above. How to Sell Property in Japan? : Is 2019 the Time to Sell?